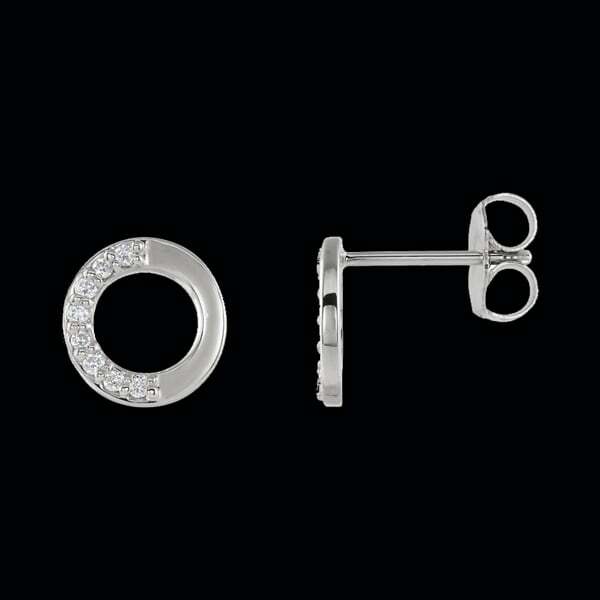 Platinum Diamond accent circle earrings. Diamonds total 1/ 10ctw in this adorable pair of earrings. Each earring is set with 8 diamonds to add a little flash. Friction backs included are also Platinum.